In the mid 1970s that was the essay on impact of science in our daily life about a street-smart quick-talking undercover cop with the NYPD who lived with an old man and a cockatoo. Am I going down this nostalgic path to wax poetically about Robert Blake, a child actor of “Our Gang” turned tough guy actor who was later accused of murdering his wife by shooting her in a car outside a restaurant and then acquitted? It’s to remember where I was when the lights went out in New York City on July 13, 1977. History shows that the electrical shutdown started at about 8:55 p.m. with a lightning strike in Yonkers. I didn’t know anything about that at the time. 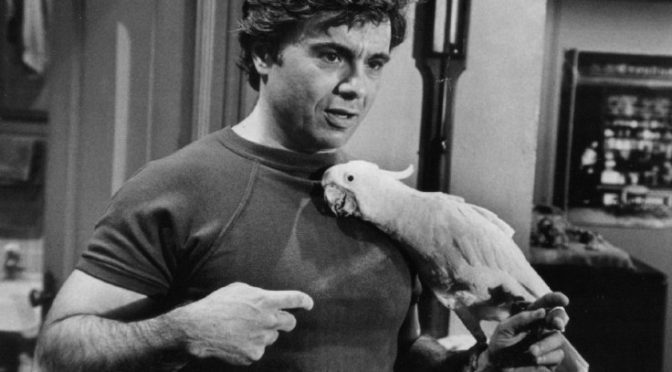 But what I do remember is watching “Baretta” with my dad in our Bronx apartment. The screen suddenly went blank and everything in the apartment went black. My dad enlisted me to find out what happened. So I went to the first floor where my dad rented space for his knitting factory. As I went up the stairs with a flashlight, I looked outside and noticed just how freaking dark it was out there. The house we rented was on a corner and one side was parallel to a major highway. Our corner had at least three light poles so it was never dark — except that day. Looking out the factory’s ground floor windows, something our basement apartment lacked, I could see a very dark Bronx street. It was something I had never seen before. “Dad? !” I cried out. He told me to talk to the landlord. As I went up the stairs and gained a higher vantage point, I could see more of the street and streets on the other side of the highway. There were no lights anywhere! My landlord screamed to go back downstairs and turn on a portable radio to hear the news. The Bronx was blacked out. Later I learned it was wider than that. So here we were on a hot July night with absolutely no lights. Our landlord got into a post-Fourth of July mood and broke out the fireworks that he did not sell the previous week. He still had a bunch of firecrackers, Roman candles and bottle rockets. He gave them to me and I remember my dad joining in. My mom came up with my infant brother. My middle brother, who was too young to light the fireworks, was running back and forth delighting in the explosions I was orchestrating. The previous week I may have been able to get my hands on a few firecrackers and bottle rockets but now our usually stingy and sour landlord was gleefully opening up a trunk full of leftover fireworks. Rich, my friend from around the block and now About Men Radio brother, and I talked the next day about the looting and pandemonium that happened all night long in the city. We later found out about the people in the subways and in Shea Stadium when the ballpark went dark and the stores that were broken into. There were stories of good Samaritans, New Yorkers helping each other or simply gathering outside their buildings to meet their neighbors. Or in my case, blow up some fireworks with them.